Henry Kissinger insisted that we should invade and stay in Vietnam. He masterminded the carpet-bombing of Cambodia. The military and political chaos that he created throughout Indochina, resulted in the slaughter of three million innocent civilians. 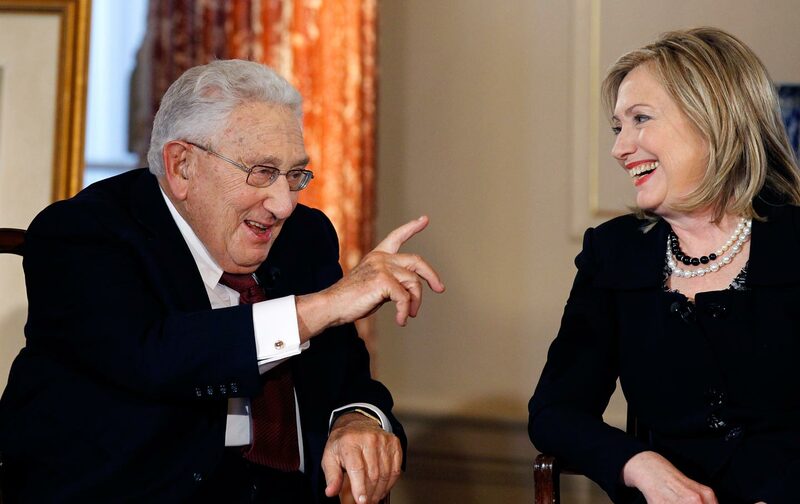 For years, Hillary Clinton has been praising Henry Kissinger – and in two presidential debates she invoked the name of Henry Kissinger, in an attempt to attract more votes. Is this the type of conscience that Hillary Clinton would bring to the White House…where a man responsible for killing millions of innocent people, is her role model and foreign policy advisor? Kissinger was a warmonger, If Hillary is elected she will follow in his steps, with the help of wall street and big time hedge fund money. “Follow the money”. Wow!! I didn’t know this. Did you?